Design and implementation of packaging (packaging), objects (object design) and any other custom design project, of a small or large scale. Additionally, in the first floor our offices there is a co-working space, where it possible for someone to transfer his office, with a monthly subscription, while having secretarial support, access to the meeting room and the opportunity to be around creative people and a functioning workshop nearby. Do you have an idea and you want to see it realized? Do you want to custom design something yourself, to fir your own specific needs? MAKE team is here to help you every step of the way! 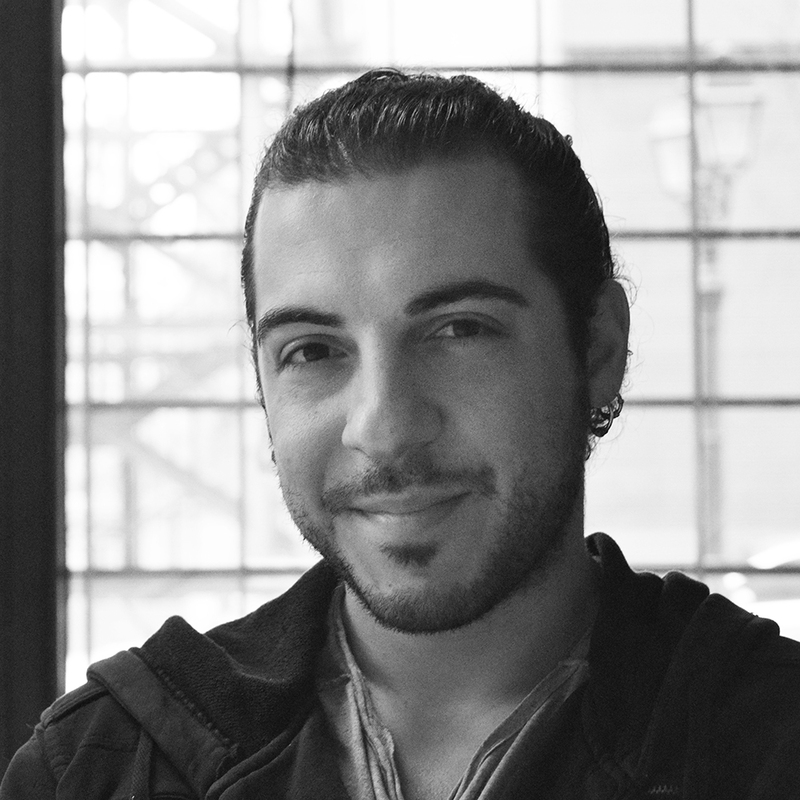 Christos has lived in Thessaloniki, Athens and London and he has travelled in many places. 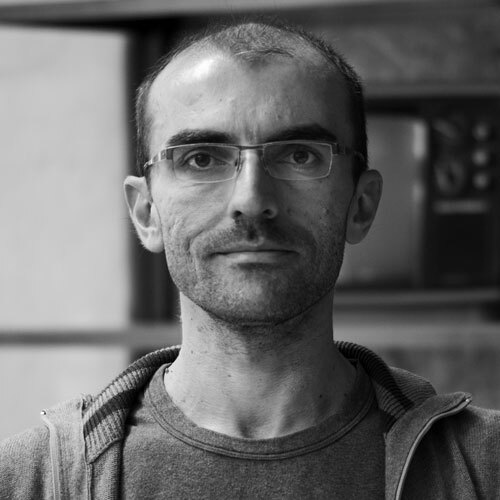 He studied in London Architecture and with his post-master he specialized in Architecture and Interactive Media. He lived and worked in London for 7 years. In the duration of his studies he worked on specialized constructions, primarily using state of the art cnc machines while contributing on the advancement of digital fabrication techniques. His continuous involvement with machinery has allowed him to combine his knowledge of the designer with the omes of the craftsman. This kind of combined this knowledge have expanded his design approach which he applies by proposing advanced solutions for custom applications aiming at a perfect plug and play tailored to individual customer needs. Demosthenes was born in Thessaloniki, but his restless nature led him into an endless journey across Greece, aiming to know places, colors, nature and sometimes strange parties and live performances. He studied Business Administration with specialization in Strategic Marketing. Energetic and passionate about what he does, he worked previously as a graphic designer, a bank clerk, a radio producer, an account manager for promotional products and a concerts’ organizer. He is currently Creative Director of MAKE and everyday life prevents him from ever getting bored. Every project that passes the door is like a new level in his favorite video game: he jumps, he hits, he solves the riddle and he finally “passes” to the next project. GAME ON !!! 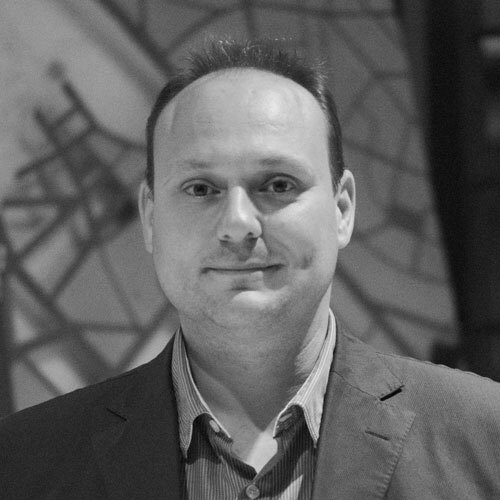 An active architect, with experience in design and construction. He teaches Architecture Technology at A.M.C.Th. 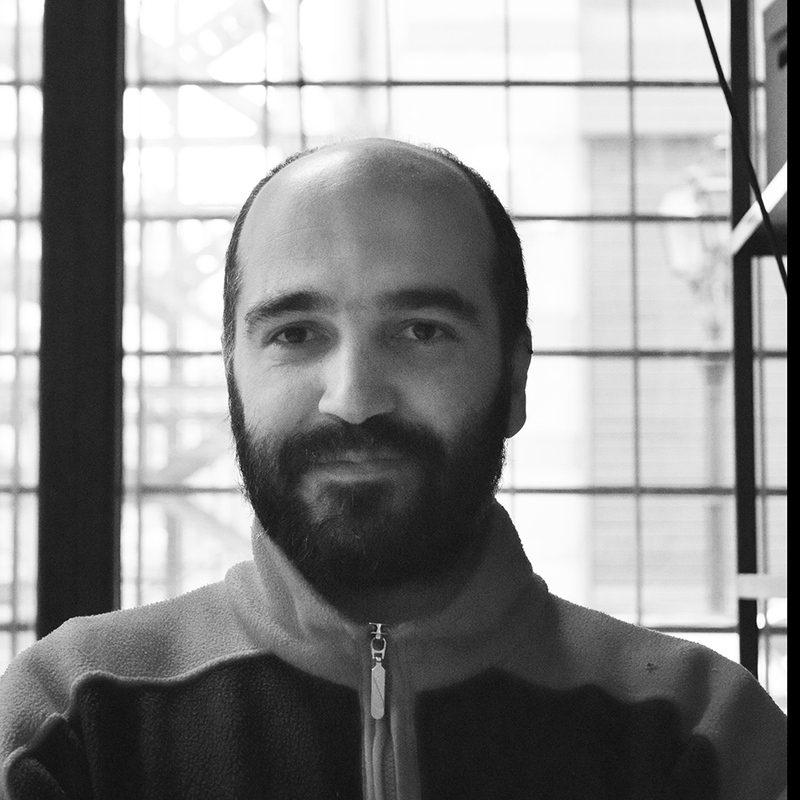 and he works at MAKE as a freelancer in the fields of 3D & parametric design, laser-cutter, 3D-printing & cnc-router. 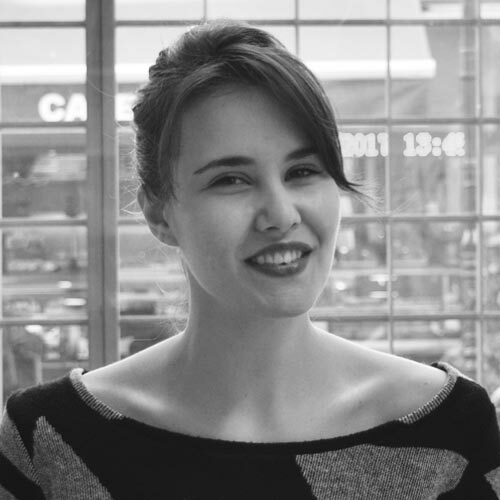 Ina is an architect with experience in design organization and projects’ construction. 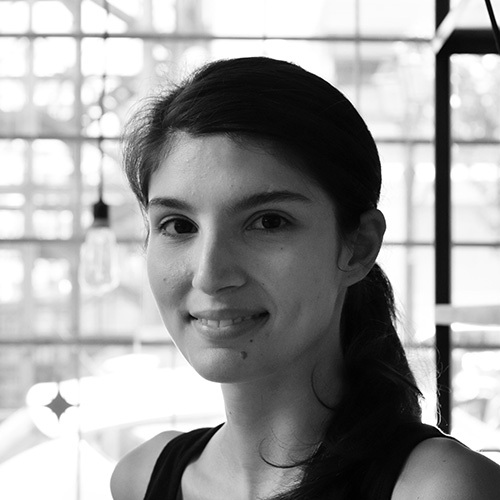 She maintains Parthenios Architects, an architectural office situated in Athens. 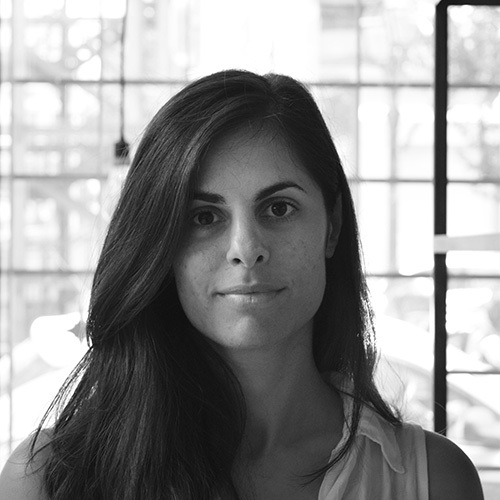 She collaborates with MAKE as a freelancer in architecural competitions, furniture design projects and installations. 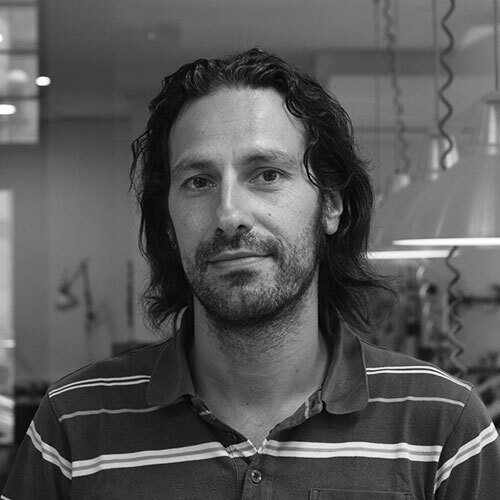 Alkis is an architect who studied in London, with a plethora of designs and construction projects on his resume. He is a visionary and creator with many capabilities in the field of art and science. He is always happy to impart knowledge and interact with young designers and artists. 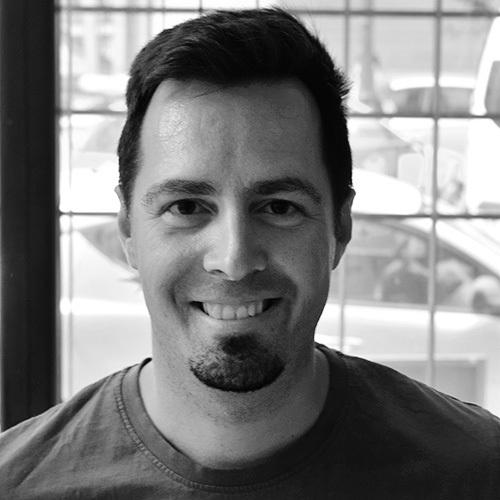 He is a partner and director at MAKE as a trouble solver. Born and raised in Athens. She is a Landscape Architect specialized in the design and management of urban green areas. 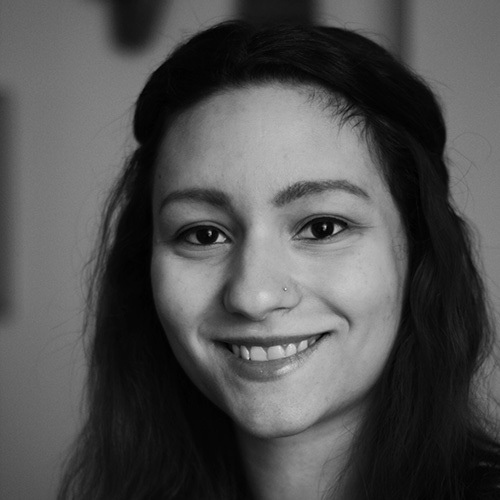 She works at MAKE both as a project manager, as well as a contibutor in the design and manufacturing process. Born and raised in Thessaloniki. He studied Architecture in A.U.Th. He works at MAKE as an architect. Thanasis is a mechanichal engineer from the University of West Macedonia. He works at MAKE as a workshop manager. 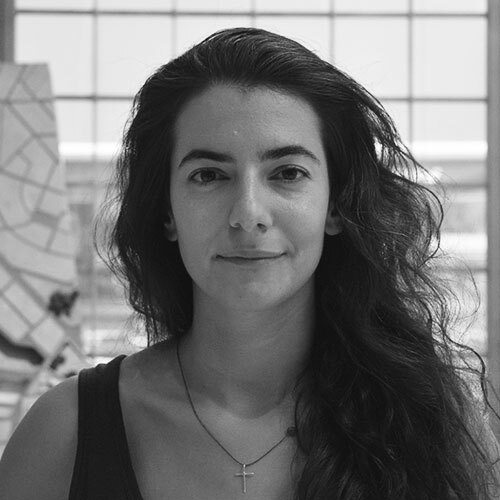 Ioanna holds a degree in Architectural engineering from A.U.Th. . She works at MAKE as an architect, specializing in scale-model construction. 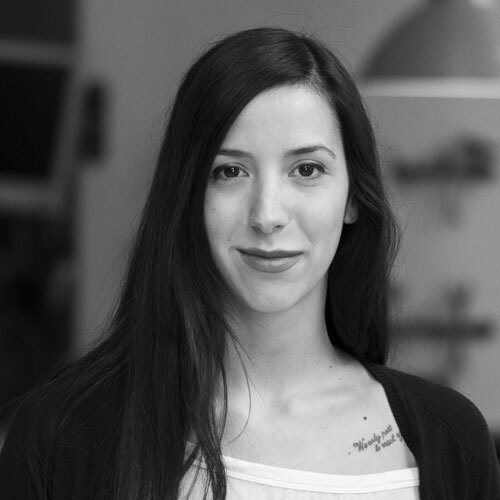 Vagia holds a degree in Physics and she is a graduate in the Masters program of the Department of Mechanical Engineering and Industrial Design in Kozani. 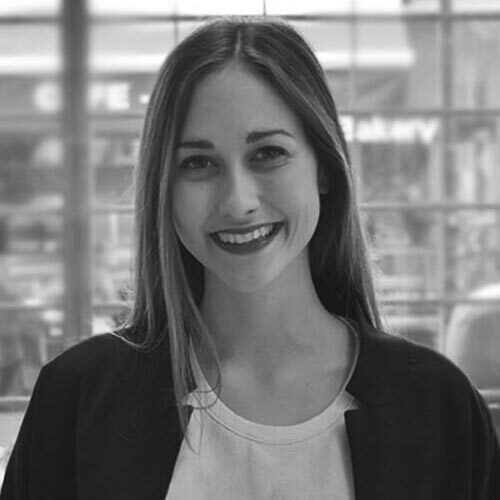 She works at MAKE as a project coordinator and Administration Assistant. 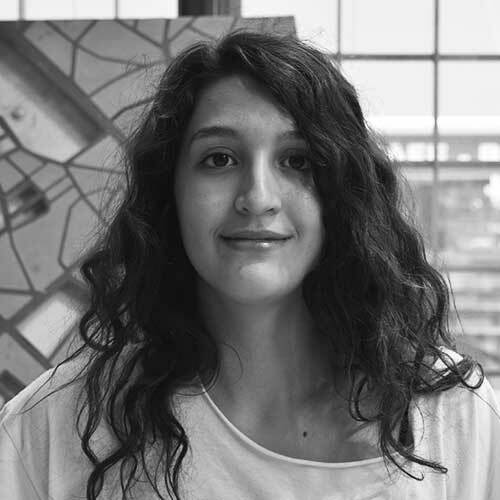 Chrysanthi is a student of architecture and works at MAKE as an intern. 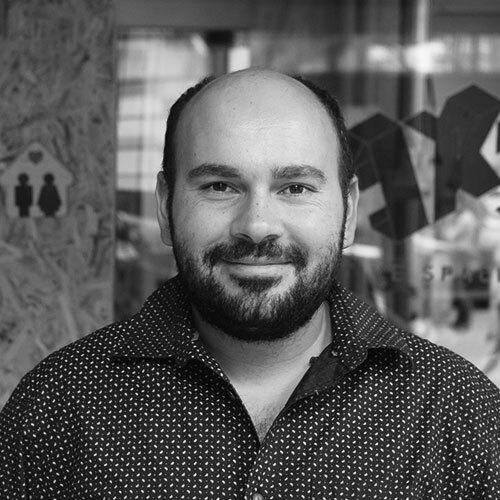 With years of experience in online media, Giorgos took over the art direction, setting up and the creating the website of MAKE and managing all the Social Media accounts. She was born and raised in Thessaloniki. She studied Architectural engineering at D.U. Thrace. She works at MAKE as an architect engineer, primarily in the department of specialized constructions. She was born and raised in Thessaloniki. She studied Architectural engineering at D.U. Thrace. She works at MAKE as a junior architect. He studied Logistics and Carpentry. 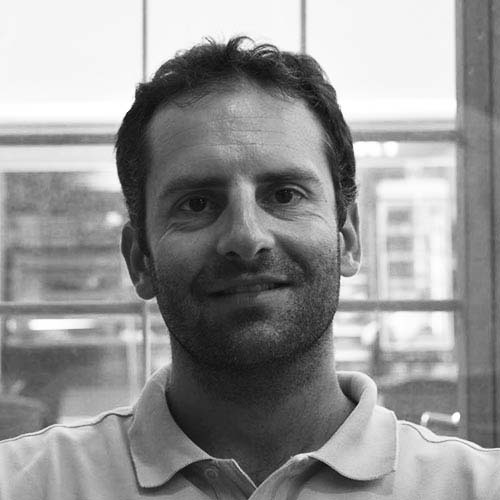 He works at MAKE as a workshop coordinator, assisting to small and large scale construction projects.